The modern Tarot deck consists of 78 cards, and although not actually so, the Tarot deck gives the appearance of being composed of two separate card decks that were merged together. The core would have consisted of the 52 French 'poker deck' playing cards we are all familiar with (Ace - 10, Jack[Knight], Queen, King). The imagined other deck would have contained the remaining 26 divination cards (0-21 and four Pages). For esoteric reasons, modern Tarot readers typically divide the deck into 56 "Minor Arcana" cards and 22 "Major Arcana" cards (the four Element focusing messenger cards, called "Pages", they group in with the Minor Arcana Court). Personally, from a fortune tellers point of view, I find the inclusion of the Pages[Messengers/Angels] within the Minor Arcana to be perplexing, and so apparently do several other authorities (including some Thoth deck scholars). Attributes are often stolen from the Knights and re-attributed to the Pages, which deck designers then rename as Princesses, Adepts, or whatnot, in order to force these cards to fit in the archetype court below the Knights as mere gender differentiated Knights. To the consternation of the Kabbalists I'm sure, I shall group the elemental Pages with the Major Arcana in this treatise, as I am convinced they divinatorally work better in that context. For convenience, I've created this downloadable OpenOffice spreadsheet, which lists all the cards with their associated keywords on one printable page. Use my associations as guidelines only. Tarot cards, like Rorschach cards, are just images on paper, and they can engender a completely different emotional meaning to different individuals. For example, while most people might say a certain Rorschach card makes them think of a butterfly, one individual might instead see the same card and think of her sister (because, perhaps, her sister did her hair in a similar shape). The same is true for Tarot cards. If a cards imagery brings to mind something other than the usual keyword association listed here, that's perfectly acceptable, and most probably why the card made its appearance. In like manner if a drawn card doesn't seem to fit, you should ponder: "what might this card be telling me if it did mean something". 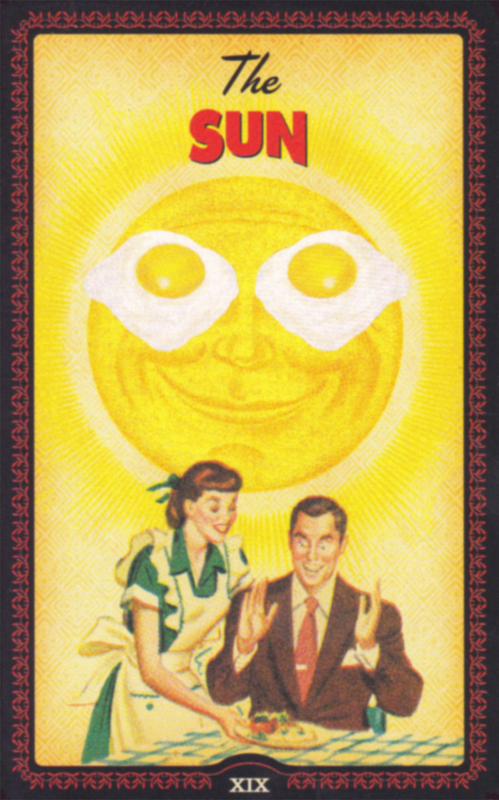 The cards imagery may perhaps be referencing a place, an event or encounter, the personality of an acquaintance, or possibly even a pun or an inside joke. 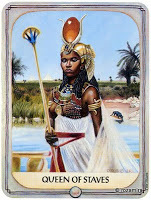 The gender of an image (especially on archetypal court cards) should also not be construed as citing a specific gender. Fortune Telling with the Tarot requires reading a "Spread", and many dozens have been created over the years. Spreads are intended to provide insights into answers, as each of the positions in the spread are ascribed with a particular meaning. Just like with your preferences for Tarot card decks, pick whichever spreads personally appeal to you (for convenience, here are some common spreads). Generic three and five card spreads are often sufficiently revealing for most questions, although using a tailored spread which has ascribed positions more closely relevant to the clients specific question would be preferred. 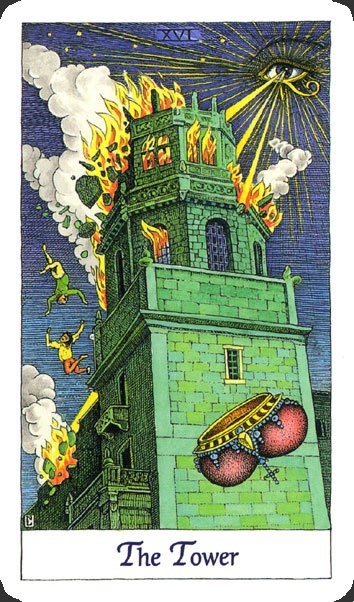 If however all you desire is an unelaborated no~maybe~yes logic answer, extract the Tower, Star, and Sun cards, shuffle them face down, then draw one card. In a similar manner you can shuffle the four Page cards, then draw one card to receive a broad time or direction answer. Recognize though that as opposed to Lenormand pictograms, morphologically Tarot is better suited at answering internal "why" phrased (psychological or mood based), rather than external "what" phrased (physical or prognostic), questions. Like with dowsing, it is important to establish a consistent methodology, so that the cards can align themselves appropriately to the way in which you will be reading them. The two most effective ways of selecting cards for a spread are drawing and shuffling, and either method can be chosen for a particular reading. For either method the reader first "clears" the deck from previous influence, by performing a few overhand shuffles while chatting with the client, so as to align the shuffling readers thoughts with the client and their question. From this point forward, the clients question must then be continuously pondered by all persons manipulating the cards, until all the necessary cards have been selected. In the draw method, the reader fans out the cleared deck face down in front of the client. The client is then told to think about their question while choosing a specified number of cards (spread dependent) in the order that they "feel" are correct to draw. Still face down they pass the cards in sequential order to the reader, who places them into the spread. The client should also be told that if they feel the need, they can spin a card 180 degrees before passing it to the reader. The shuffle method can take on a more ritualistic tone, which some clients find more satisfying. One of the more popular shuffling rituals is to pass the cleared deck face down to the client, who is then asked to think of their question while shuffling the deck using any method they prefer. They are then asked to cut the deck into three piles of any size, spin one pile 180 degrees, then stack the piles in any order back into a single deck. This procedure is repeated two more times, before the face down deck is then passed back to the reader. A spread is "built" by turning a card face up and placing it into the spreads appropriate sequential position. Spreads should always be laid down in reference to the card readers eyes. 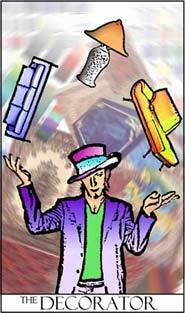 By consistently using this fixed point of reference, a cards upright or reversed direction is always clear. How the reader initially turns a card face up is critical. Twisting the card over sideways keeps the cards direction the same, while flipping the card over reverses its direction. The twist method is suggested if the client typically sits at your side, while the flip method is suggested if the client typically sits facing you. It does not matter which technique you use, but whichever turning method you choose, you should consistently do it the same way. Cards are usually read both upright and reversed, but optionally you can turn all the reversed cards upright, particularly if you have a deck with a unidirectional back or an uncomfortable client. Whichever method chosen, you must make it clear to all concerned before the cards are shuffled the way in which the cards will be read, so that card selection can adjust to indicate properly. The cards classified as Minor Arcana mostly deal with daily life and its activities, whereas the cards classified as Major Arcana call our attention to a larger, pervasive truth or struggle. None of the card groupings are more or less significant than any other. Depending on its facing, a Minor Arcana card is usually interpreted as a strait forward upside or downside influence of the cards keyword. 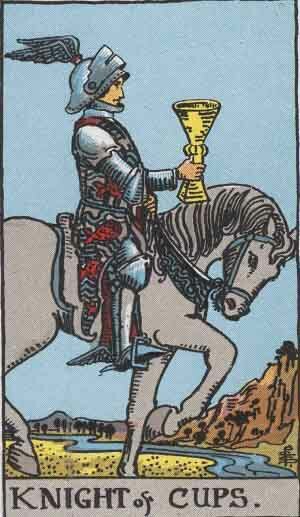 Major Arcana card interpretation is more difficult, because in either direction the card illustrates a powerful theme or core issue that simply "is" in regards to the inquiry. 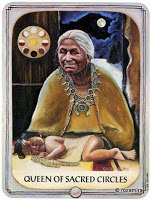 A reversed Major Arcana card is indicating that a less considered manner or aspect of the theme is being expressed, so the reader needs to carefully determine what this revised meaning actually is. Surrounding cards will probably contain clues. While past events can certainly be revealed or clarified; always bear in mind that Tarot readings, like weather forecasts or horse racing odds, can only suggest likely possibilities for future events. It is not possible to truly know what will actually transpire in the future (even considering that instinct often trumps free-will). Fortune telling the future should therefore be enjoyed as merely a fun entertainment, and be approached with a light heart and an open mind. 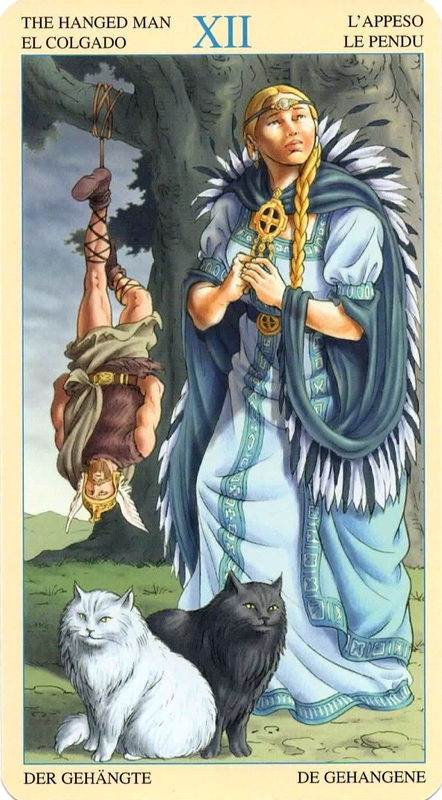 These cards were extracted from several Tarot decks (mouse over the picture to learn their heritage), and were chosen because I felt the imagery on them best expressed the essence of each cards commonly associated keyword. Here you can read why I chose the card images I did for this webpage. 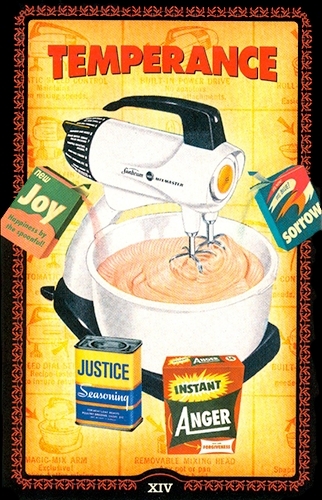 The traditional name and keyword is listed above the card, and the cards theme is expressed in a single sentence below the card. 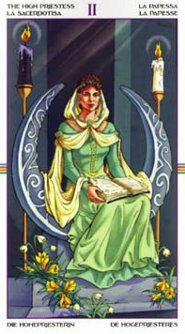 When choosing your own Tarot deck always bear in mind that imagery is important, and the imagery on some cards may even warrant that alternative keywords be associated. I consider the four Elementals (e.g. 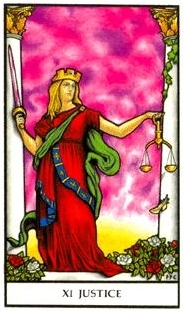 Pages) to be a part of the Major Arcana, and not the Court. They often appear in the context of describing a Spreads theme. While some assign progressions to the Major Arcana cards for esoteric reasons, for fortune telling purposes each card stands on its own, so no attempt should be made to order them. Any happenstance numbering appearing on a Major Arcana or Element (e.g. Page) card should therefore be ignored. A message relating to information, or anxieties. 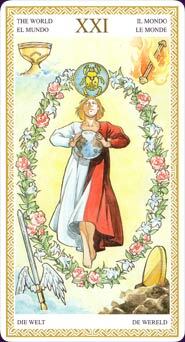 A message relating to zeal, laurels, athleticism, traveling, or philosophy. A message relating to posessions, vitality, or work. A message relating to deep feelings, or home and family matters. Uranus - Fresh and inexperienced, who knows where the path will lead? 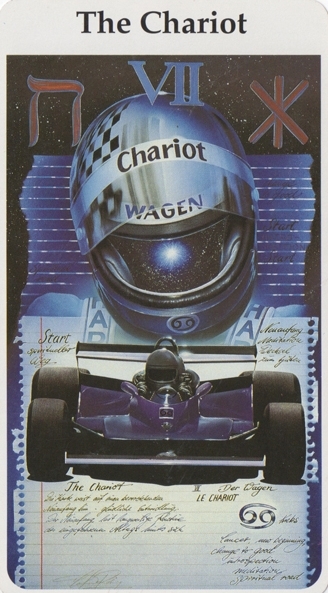 Mercury - Clever creation by willpower and desire. Moon - Arcane secrets are obscured; but knowledge can be uncovered and contemplated. Venus - Be fruitful, romantic, and appreciate beauty; but avoid possessiveness. Aries - Be aggressive, brave, and bold; but avoid tyranny. Taurus - Group harmony is affected by adherence to tradition. Gemini - Choices have an impact on your teams dynamic. Cancer - Confidently unite conflicting energies to drive on to victory. Leo - Gently allay potent emotional forces. 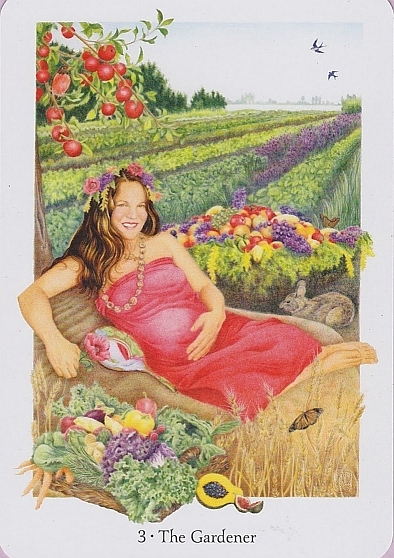 Virgo - Solitarily poke around, while ruminating and organizing your thoughts. Jupiter - Good fortune is rising up. Libra - Objectively cut away whatever is necessary to bring things back into balance. Neptune - Pause and make the sacrifice of considering things from a different perspective. 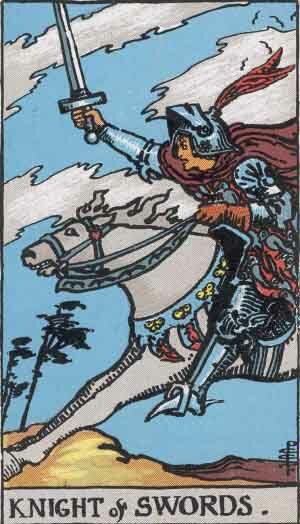 Scorpio - The time is now to mourn or cheer, because this page is being turned. Sagittarius - Blend doses of extreme elements to form a moderate new mix. Capricorn - Addictions and attachments are being self imposed. Pisces - Experiencing a dreamlike whirlwind of emotions and bizarre creativity. Pluto - Courageously face the grades on your report card, then get over it. Saturn - Happily dance forth into the world with your earned diploma. 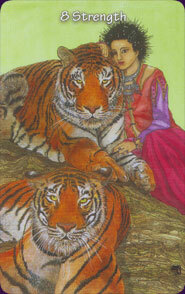 The numbered cards shown here were taken from the "Sharman-Caselli Tarot" deck. The imagery on them closely follows the R-W-S imagery, but because the images lack much of the overlaying esoteric symbology which often confuses initiates, they make great example cards. The archetypal court cards come from three different Tarot decks (Jacks = "Rider Waite Tarot", Queens = "Ancestral Path Tarot", and Kings = "Sacred Art Tarot"), because the imagery on them from these decks seems to express the essence of each associated keyword best. The Spades (Swords) are associated with the element of "Air". Thoughts (including calculations) and Words (including gossip) are major keywords. 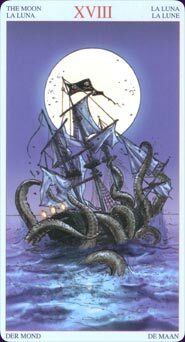 However, because perceptions can be hurtful, these cards are also associated with anxieties. The Clubs (Wands/Staves/Rods) are associated with the element of "Fire". Zeal relating to Actions (including defensive maneuvers) and Travel are major keywords. Leadership, athletics, patriotism, and recognition are emphasized. The Diamonds (Coins/Pentacles) are associated with the element of "Earth". Wealth, Healthiness, and Industry are major keywords. It is however also about how others perceive your handling of these matters (as in greed or generosity). The Hearts (Cups) are associated with the element of "Water". Feelings (including both elation and depression) are the major keyword, but it also includes emotional relationships, such as those with best friends or family. While the pips represent activities, the court primarily represents archetypal personality types (rather than any specific physical feature or ethnicity). Remember, I don't consider the Pages to be a part of the archetype court. Tip: If your Spread uses a Significator, a Page can be used to represent a "thing". Also, consider taking a representational card from some other deck, so that the working decks' card remains available for drawing. Knights are associated with youths of any gender, and anyone with limited experience, because these are people who often pursue a singular approach. ~ Spades (Swords) are associated with air vehicle travel. ~ Clubs (Wands) are associated with land vehicle travel. 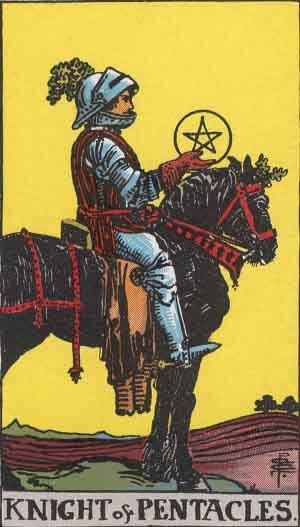 ~ Diamonds (Pentacles) are associated with self-propelled travel, such as walking or bicycling. ~ Hearts (Cups) are associated with water vehicle travel. Queens, although sometimes considered describing an adult woman, are those people with experience of either gender who "get the job done" (like administrative assistants). If not representing a person, Queens will represent a development. Kings, although sometimes considered describing a mature man, are those people with seniority of either gender who often "claim sovereignty" (like executives). If not representing a person, Kings will represent a motivation. 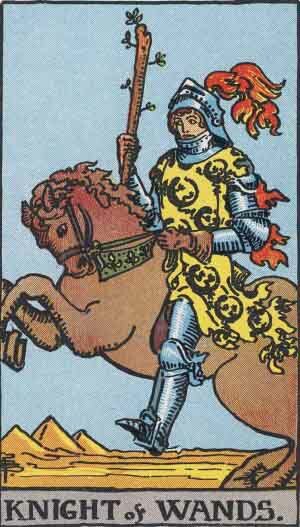 The Minor Arcana cards can be grouped into progression patterns. The Knight, Queen, and King follow experience progressions (youth, adult, and senior, respectively). Cards 1 through 4 are about following the course of a project from beginning to end. 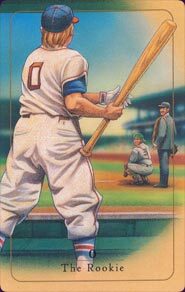 This progression pattern repeats in the 6 through 9 cards, but here the goal is long term (career) oriented rather than merely short term (job) oriented, as it was with the earlier progression. The 5 and 10 cards are impositions on progression (you get beaten in the game, or sidelined from the game, respectively). Never forget that all 78 cards form a single homogenous deck. Do not try to assign more significance to the Major Arcana over the Minor Arcana (because if that were true, then the Minor Arcana cards should actually be the ones given the greater importance). Take each card on its own merit as it falls into your Spread, without trying to also rank the card by its supposed mightiness. Tarot cards, like medieval church windows, tell their stories through pictures. When you look at a card without a question to give context, you will unfocusedly see all the dozens of things going on in the picture, so all you could possibly do is invent some irrelevant rambling story about some of the imagery (as you do with the Tarot training exercise called "The Highwayman"). For this reason you should always decline Tarot reading if you think a client is keeping their real question, and therefore the true context, secret. It is only when both the reader and the client truly grasp the actual question (and this may require deep probing to discover), that you can choose an appropriate Spread, or can begin to see the important bits in the imagery needed to map analogies. 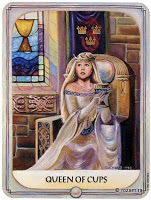 Remember that a cards theme or keyword is just an aid to provide context for your novice encounters with a Tarot card. With Tarot (as opposed to, say, Lenormand) it is the imagery itself that is important when you read a card; e.g., what do you see, and how does it make you feel. When reading a Spread, relate the imagery on a card to a following or previous card in a flowing storyline. Interpret related components and interactions within the drawn cards as they progress through your Spread. Which way are characters facing, moving, or gesturing? How are the characters emoting? Are there similar colors or angles? Similar shapes or subjects? Are objects growing or diminishing, rising or falling? Are objects mutating in their shape or form? First see the story from the images, and only then think about the cards commonly associated keywords. There are several computer programs which allow you to simulate a Tarot card Spread. Some even allow you to create custom decks like the one on this page. 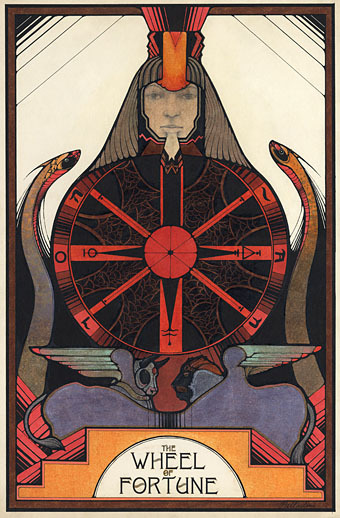 One such custom deck program is called the "Orphalese Tarot". I am allowed to offer here an older, but fully functional copy of the program. Although Shareware, the author allows you use it for an unlimited period before registering. The last version compatible with Windows 2000 was version 7.6.2.2, however this and the slightly earlier versions appear to have been lost to history. The newest Win2k compatible version that the author still had was version 7.3.0.2. The most current version is available on the authors website. 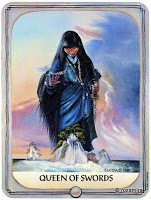 --- One question I often get asked is why the Tarot deck looks the way it does. Why are the cards numbered in the order they are; why was a certain symbolic image selected instead of another; etcetera. Essentially the questioner is asking for a history lesson about the cards. Fortune telling tools have almost always been adaptations of existing mundane objects, typically gaming pieces. After all, why bother to devise a special divinatory object, when all you actually need to fortune tell is to assign a consistent meaning to particular objects of any group, and then be able to subconsciously select from those objects in a consistent sequence. The adaptation of Tarot gaming cards for divination purposes was no different. In the early 1400's playing cards similar to the modern Tarot were introduced into central Europe. They were used to play gambling games, mostly Trick-Taking games, for which a deck with multiple suites and trumps was ideal. Naturally in parochial Europe, regional game rules and card styles developed (for example, many Tarot decks use the Italian Swords, Wands, Coins, and Cups, rather than the more familiar French Spades, Clubs, Diamonds, and Hearts, for suit symbols). Although Tarot cards could have contained very simple pictograms to distinguish the difference between each card, elaborate illustrations were created instead. This was most likely because elaborate artwork both attracts a buyers attention, and because it can be used to justify a higher selling price (just as with Tarot decks designed today). It also appears that the illustrations were just inventions from the publishers mind, much like the multitude of illustrations found on "Old Maid" gaming decks. Eventually fortune tellers decided to use the Tarot deck for divination because the plethora of cards offered the ability to assign each card a totally distinct meaning. The stark visual difference of the fifth suit of trumps prompted the early adapters to divide the deck in a manner that gave it a more esoteric feel. This then kicked off a feedback loop, where card meanings and artwork depictions became more and more entwined, to the point where the decks being created nowadays exude a very strong aura of occult symbolism and divination exclusivity. Here you can read why I chose the card images I did for this webpage. --- Another often asked question is if a person has to acquire some kind of certification from an approved organization before they may read Tarot professionally. Historically, as one would expect if you assume Tarot cards are adaptations, card meanings, and even the number of cards used, initially varied from reader to reader. Over time however the number of cards in a deck became fixed, as did the individual card meanings. This is not to say that all decks are now alike, as for example a comparison between RWS-based and Marseilles-based decks reveal, but in most cases a student familiar with one deck can read using another. This standardization means that anyone who has been taught by a competent mainstream teacher, or who has diligently self-studied mainstream lessons on the Tarot, will gain sufficient knowledge to perform readings which will be recognized by their peers as being correct. --- A big concern is whether an individual might have to become a member of a specific religion, or be affiliated with a specific group or belief system, in order to read effectively. I personally dislike the word 'divination', as the word alludes that some divine power (whether good, evil, or otherwise) is behind the selecting of the cards. The alternative term 'fortune telling' is also somewhat misleading, as this term alludes that the cards can predict the actual future. Tarot cards are not the mouthpiece of supernatural beings, so no religious membership is required of the reader. Nor is the reading being influenced by either a divine or demonic power associated with any specific religion. 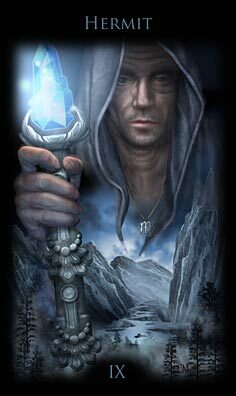 Although it appears that card selection is not random, (but even if it is), the interpretation of the chosen cards are exclusively emanating from within the card reader, and so a readers personal association with a specific external group or belief system is irrelevant. Readers must take care that their personal affiliations or belief systems do not sway the way in which the cards are read for a client, so being spiritual might actually be a hindrance with astrology and cartomancy. Clients come to a card reader because they do not know how to read the cards for themselves, and they require a versed translator to do it for them. Readers therefore have a moral responsibility to translate the images on the cards in an unbiased fashion, without their psychological issues, recent divorce, newfound religion, or anything else, influencing the read. Translations must always remain unadulterated, even when cards point in an undesirable orientation. --- Should I be trying to guide my clients? Not really. The job of a fortune teller is to just state the facts as you read them. Yes, you should care about the people who come to you, but never try to overstate/understate what the cards are saying in order to steer a client onto a path or make them feel better. Don't be cold about it though. You can certainly empathize, and you can definitely offer to direct the querant to people or resources that may help them resolve the situation revealed. --- Why does subsequently asking the same question sometimes produce a differing, or possibly opposite, answer? The future is malleable, which is why we bother to consult oracles in the first place. For example: if it was to rain, the result would be that you would get wet. On the other hand, if you had consulted the weather report and saw that rain was in the forecast, you might take an umbrella and so contrarily manage to stay dry. When you consult the cards, you get a snapshot of the way things trend at that moment. Obviously events in the past will remain the same, although additional insights might be gleaned through the appearance of different cards in a new reading. In the case of a future event however, the prediction could drastically change IF something effecting the outcome has changed since the last reading. Therefore, it is sometimes wise to re-ask a question before an event has reached its conclusion, particularly if free-will is being consciously exercised by those involved. --- Novices often comment that the books they are reading often give conflicting techniques for manipulating divination cards, so they want to know my insights on the matter. 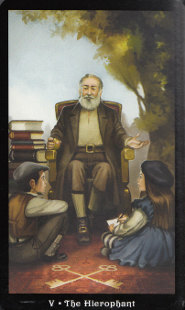 1- You must first decide upon the authority (your memory, a reference book, writing on the cards themselves, etc.) which you will be using to interpret what each card in the deck represents during the particular reading, so that the cards can align themselves appropriately. 2- You must next have a clear grasp of the question being asked, and you mustn't go off on any tangents during the reading (tip: write the question down, and keep referring to it while reading). 3- Before selecting any cards, you must first decide upon what Spread you are going to use, so that the cards can align themselves appropriately (if you later opt for further clarity while reading the Spread, decide at that time exactly how the amplifying cards will be grafted into the existing Spread before drawing any of the clarifier cards). 4- You must select cards for each spot in the Spread without consciously knowing which card you are choosing (Significators, if used, can be chosen and placed consciously). 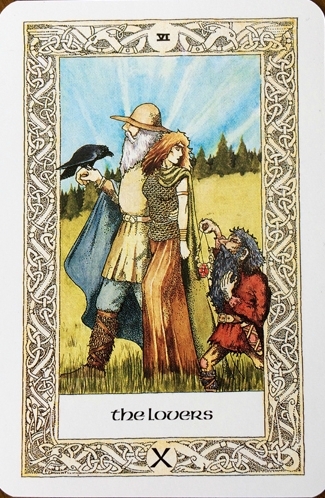 5- You must not force a meaning onto a vague card reading in order to obtain a preferred answer (tip: a new reading in connection with a rephrased question will often eliminate ambiguity). --- So what books do I recommend for beginners? Initially I believe one should learn the Tarot from a pragmatic viewpoint. A starting point for fundamental information is the Little White Book that comes stuffed in with your deck of Tarot cards. If you prefer an introductory source that is a bit more substantial, try the book "Beginner's guide to Tarot" by Juliet Sharmon-Burke, which is included with the "Sharman-Caselli Tarot" deck (ISBN 0-312-28482-9). 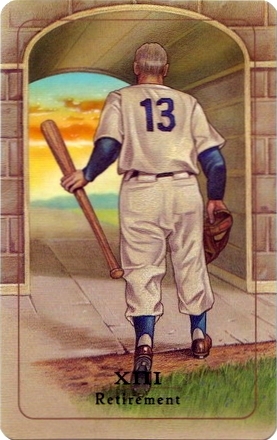 My recommendation for a great book that not only covers the fundamentals, but also amplifies and clarifies card meanings in a practical way, is the "Baseball Tarot Book" by Mark Lerner & Laura Philips, which is included with the "Baseball Tarot" deck (ISBN 0-7611-0347-3). For suggestions for Spreads, you can't go wrong with the book "Illustrated Tarot Spreads" by Heidemarie Pielmeier & Markus Schirner (ISBN 0-8069-6345-X). --- Why do I make references to Astrology? Inexplicably this isn't actually a question I have been asked, but I think it is important to clarify. Astrology has absolutely nothing to do with Tarot card reading. Nor does Kabbalah, Numerology, Runes, Alchemy, or any other mystic discipline. The reason that I include references to Astrological signs and planets is that many persons are familiar with Astrology, and some of the keywords linked to various planets and signs are nearly equivalent to some of the keywords linked to certain Tarot cards. Knowing that a Tarot card has similar traits to an Astrological sign or planet (or Element) might provide a clearer mental understanding of the card then you might otherwise get from just reading its description. --- Are fortune tellers fakers? Some most certainly can be. This is why I stick to fortune telling methods that can be corroborated. For example (and no disparagement intended), a psychic may give a reading, but it is entirely faith based. The psychic may be a liar, they may be telling the truth, or they may think they are telling the truth but in reality are being fooled by their own subconscious. The client just doesn't have any way of knowing. A Tarot reading on the other hand, and cartomancy in general, is what it is. If you suspect the translator, you can show the exact same card spread to another translator to see what they say. Although they may not repeat the reading word for word, because there is some room for interpretation, the gist of the meaning will remain the same. So, to allay peoples concerns from the get go, a good cartomancer will always explain to the querent WHY they are saying the card spread means to them what it does. --- Do I have to be "gifted" my first deck of cards? Do you have to wait to be gifted a hammer, or perhaps a screwdriver? Tarot cards are nothing more than tools to do a job. Just go to the store and buy what you need (and preferably like).